Source Naturals Glucosamine Sulfate is a naturally occurring amino sugar. Amino sugars are key constituents of larger compounds called glycosaminoglycans and glycoproteins, which allow cells in tissues to hold together. They are necessary for the construction and maintenance of virtually all connective tissues and lubricating fluids in the body - tendons, ligaments, cartilage, bone matrix, skin, joint fluid, intestinal lining and mucous membranes. 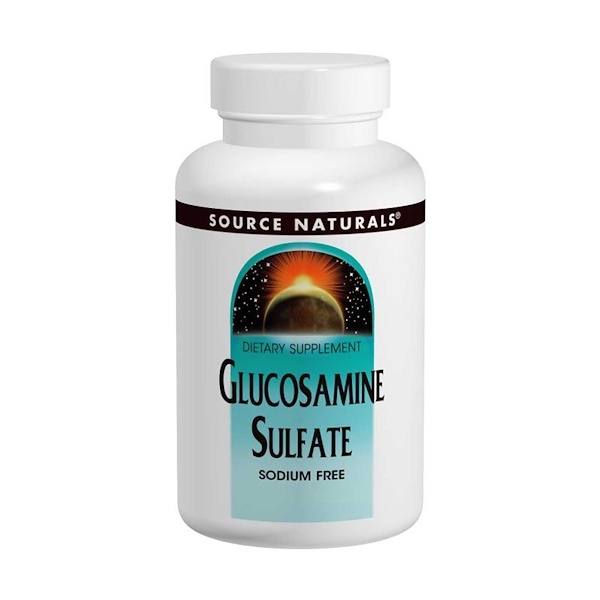 Glucosamine Sulfate is complexed with potassium chloride to enhance stability.